India, since time immemorial, has been a destination for traders and shepherds, teachers and disciples, kings and saints. Many returned with India in their hearts and many became part of it and made India their house. It is the land where every visitor is considered a God and treated like one. Come travel back in time, staying not at run of the' mill hotels, but stay with the locals in their homes. Far away from the hustle and bustle of the cities these homes are the essence of Kerala where you will experience firsthand the way of life, interact with the local people and share traditional home cooked meals with the families. Arrive Cochin Airport. Transfer by road to Thani Illam ( ½ hrs ). 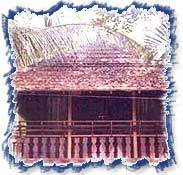 Thani Illam (short form of Thannikkatt illam family name) means the original home of a Kerala Malayali Brahmin family. The Hosts are Mr. T.S Parameswaran & Mrs. S. Saradammal who are religious persons. You will be served only the Kerala vegetarian cuisine and no liquor is allowed inside the house. In the afternoon visit elephant Kraal (training center). 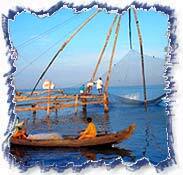 Full day city tour of Cochin. Cochin is the natural harbour created by the famed underwater Malabar mud-banks whose quality ensures that the rougher the seas are outside the calmer the waters are within the Harbour. Vasco-de-Gama placed it on the world map. It has a Jewish synagogue, Portuguese churches, Mosques & Hindu temples, Mattancherry Palace etc. Watch the Chinese Fishing Nets. Drive by Car to Vagamon (3.5 hrs drive). 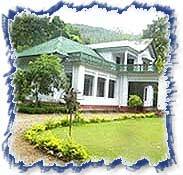 Arrive at Vanilla County Estate -a 55 years old bungalow set amidst 150 acres of rubber and other spices gardens. A variety of Keralan delicacies and other Indian dishes are served. The spices and vegetables used are grown within the grounds of the estate and organically grown. The fresh filter coffee and tea served are the offerings of the estate's own plantations. This is also a great opportunity to stay with a Keralan family Baby & Rani and enjoy home cooked food, opportunities to see organic spice, fruit and vegetable farms, swim in a series of natural pools, trekking, elephant rides and plantation visits. Day to visit Plantation, Trekking, Farming activities etc. Drive to Alleppey (3.5 hrs drive). Installation at Emerald Isle. In the beautiful waterways and backwaters of the Kuttanad region of Central Kerala lies Emerald Isle, an exotic haven of tranquility, seemingly remote from city life, yet barely 10 kilometers from Alleppey Town. Emerald Isle - Heritage Home is situated in an island resplendent with exotic flora, breathtaking flowers, myriad birds and butterflies to make for a memorable holiday. A truly wonderful way to spend your time on the banks of the backwaters of Kerala ! You have a variety of options to spend the day-Witness traditional paddy harvesting. Marvel at the process of tapping toddy, a local alcoholic drink taken from the coconut trees or take country boat through the small , village canals watching the life of village pass by you. Drive to Cochin (1 hrs) and you will be welcomed at the beautiful home of Byju and lyma -Gramam, located on the banks of the backwaters, in Kumbalangi village 10 Kms away from Cochin. The house is well connected to the heritage zone of fort Kochi and Mattancherry. The house is tiled and constructed in the Keralan style. The small garden slopes gently away into the backwaters. The farmland around the house has coconuts, areca nuts, mangoes in profusion -12 varieties in all -pepper, pineapple and mangroves, besides various medicinal plants. But the most prized possession is a 200 year -old mango tree called "Chandanakaran" locally, which incidentally is the biggest tree in the village. The rustic charm of this village ambience is sure to leave an indelible impression as you say goodbye to Kochi -the queen of the Arabian Sea. Later walk around to see the village life and educate yourself on Prawn Fishing and Coir making or take an optional tour of Cochin city.